Reveal a Beautiful, Bright Smile Today! Your smile is one of the first things other people notice about you — you should be proud to show off your pearly whites! Of course, if you have cosmetic flaws in your teeth, you might hold back from letting your grin greet the world at large. Porcelain veneers may be able to disguise those imperfections and give you the confidence you’ve been missing. It is natural for your teeth to turn yellow as you age because your enamel becomes thinner. This makes more of your yellowish dentin become more visible. 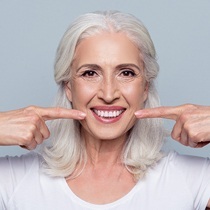 Besides age, there are other factors that can lead to the darkening of your smile, like the foods and drinks you consume. Those that are darkly pigmented can stain your teeth, like coffee, berries, and tea. Smoking or using tobacco can also lead to stains. As soon as you notice your teeth darkening, you probably tried a couple of over-the-counter whitening products, like toothpastes or mouthrinses. Although they are convenient, they cannot give you the results you want because they do not contain professional-strength whitening agents. The only way to get the drastic results you want is with the help of your cosmetic dentist in Astoria. You can get a dazzling, bright smile after just one appointment. We use the Pola Whitening system to quickly dissolve stains. The whitening agent is specially formulated to release the active agent immediately. This allows it to break down and release the peroxide ions faster. You will enjoy 33% quicker results than that of any other in-office whitening product available. To maximize your results, we also offer Epic-10 Laser Whitening. The advanced laser technology can get your teeth 4 to 6 shades whiter in as little as 20 minutes. 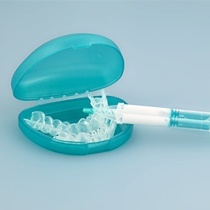 You can enjoy the most effective option for teeth whitening to speed up the results you achieve. If you have sensitive teeth or you prefer to whiten them at home, we have the solution for you. You can enjoy in-office results from the comfort of your own home. Unlike store bought products, our kit contains professional-grade whitening agents to deeply penetrate your enamel to resolve stains. After an initial consultation, we provide you with custom-fit trays and the whitening agent to use daily for the next 2 weeks. You will see your smile gradually whiten to enjoy the lasting results you want. Now that you have your dream smile, there are several things you can do to protect your investment. Use a whitening diet for 24 to 48 hours after your treatment. Limit your contact with stain-causing factors, like coffee or smoking. Reveal a Bright Smile Today! Do not hide behind discolored teeth. Get the beautiful, bright smile you want with professional teeth whitening. Contact our office today to schedule an appointment.